Spam protection: What is three times three?68? 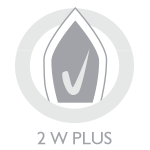 2 W Plus is an advanced technology preventing piling. Thanks to the fibres better arrangements is textile very soft to the touch although still durable and very easy to clean as well. Shirts treated with the 2 W Plus technology are of the top quality and will maintain the perfect appearance throughout the whole day. White shirt with long sleeves, collar fastening buttons. The shirt has a classic cut with state-cut collar style button-down. The leaflets are attached collar small buttons on the shirt. This collar not wearing a tie. Spam protection: What is three times three?197? Spam protection: What is three times three?159?